Palm Beach Oriental Rug Cleaning Pros is a full service cleaning company offering professional commercial and residential area rug and oriental rug cleaning in Riviera Beach, FL. Our team offers a wide variety of skills and trade experience to assure our great customers they will get the proper cleaning of their nice rug. We clean and wash Persian rugs, Afghan rugs, Chinese rugs, Karastan rugs, Turkish rugs, Pakistani rugs, Tibetan rugs, Moroccan rugs, Flat-weave rugs, Needlepoint rugs, Braided rugs, Hand knotted rugs, Machine woven rugs, Tufted rugs, Hooked rugs, Oriental rugs, Area Rugs and many other Specialty rugs. We always want to ensure our customer they are getting quality for their money and give them astounding results for putting their trust in our company. We will always make every effort to determine the origin of your area rug. A close inspection of a rug’s foundation, knots, fringe, kilim, colors, patterns, pile fiber, and pile density can give us clues of its origin. Each rug is tested for colorfastness prior to determining a cleaning process. The overall condition of your rug, its origin, colorfastness and construction will provide us with the information we need to determine a cleaning process. Unlike clothing we do not have the luxury of referencing a tag on the back of a rug for cleaning instructions. Our expert area rug cleaners will outline cleaning instructions once a pre-cleaning inspection of your area rug has been completed. We understand that it is impossible to clean a rug that has not be thoroughly and efficiently vacuumed. We have several different methods of removing dust and debris from your rugs including a method made popular by the “rug badge” where the rug is turned upside down on a metal crate and the rug is vibrated intensely removing almost all of the dirt. Some rugs are fragile and cannot withstand the intense vibration, so these rugs are gently dusted by our professional rug cleaners. We also have professional vacuums that clean some types of our customers’ rugs. 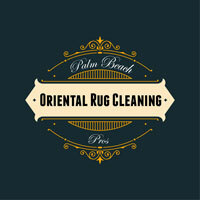 Palm Beach Oriental Rug Cleaning Pros has the expertise and skills to perform any type of rug cleaning job. We specialize in synthetic rug cleaning, Oriental rug cleaning, Persian rug cleaning, and antique rug cleaning and so much more. We also clean machine made rugs as well as hand knotted rugs and hand tufted rugs. 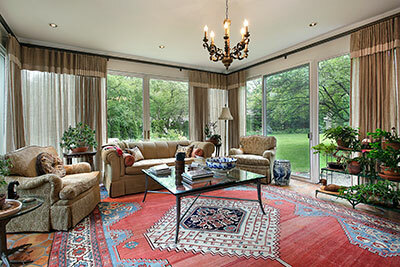 We clean every kind of fiber and textile from rugs to tapestries and even lampshades. We have the expertise to safely and effectively clean rugs made from wool, cotton, linen, coir, jute, sea grass, nylon, polyester, olefin, rayon, viscose and more. 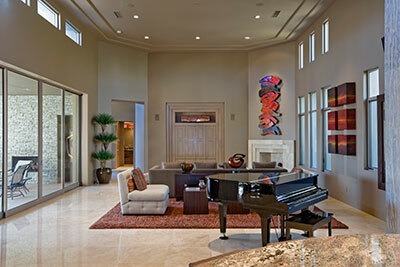 Our team also excels in the treatment of area rugs that have been affected by pets. We are experts in dealing with pet urine problems as well as removing pet stains and pet odors. So never let the unpleasant smells of pet urine or hair cause you to get rid of your carpet or upholstery. Just call our professionals at Palm Beach Oriental Rug Cleaning Pros and we guarantee you we can effectively remove the unwanted odors or stains from your area rugs.